How safe is it to buy gift vouchers as presents? The first thing to bear in mind is that gift vouchers are only as safe as the company that provides them. The problem for consumers is that they need to judge whether a company is at risk of going into administration - which is difficult. Companies don’t tend to shout about it when they are having problems! If a company goes into administration there is no compulsion for the administrators to honour existing vouchers. Do gift vouchers have time limits? 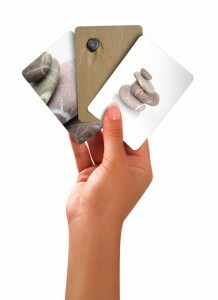 First of all go for product specific gift vouchers which can be spent in a range of places, such as book tokens. Then you don’t run the risk of an individual retailer going bust. Then choose vouchers that don’t expire. A perfect example are Theatre tokens which can be used at nearly all theatres and have no expiry date. But if you want to allow the gift recipient more choice, good alternatives are…..
Amazon vouchers – you can buy them online and only expire after 10 years. Holders can buy anything from Amazon!. Try a shopping centre gift voucher - Then you avoid the risk of an individual retailer going bust. Some shopping centres operate their own schemes (such as Bluewater), but a large number offer gift voucher cards via Flex-e-card.com. Leading shopping centres such as Lakeside Thurrock and Westfield Stratford are participants in flex-e-cards which are available in a variety of designs and up to £1,000 in value. Although they do have expiry dates. If you don’t want to just give cash then you can always gift a prepaid VISA or Mastercard. If you plan on spending over £100 on a gift voucher then it may be wise to pay for it via a credit card as you might get protection under Section 75 of the Consumer Credit Act (i.e you can claim against your credit card company) if the issuing firm goes bust. From 16th September 2013 consumers have been able to switch current account within 7 workings days.